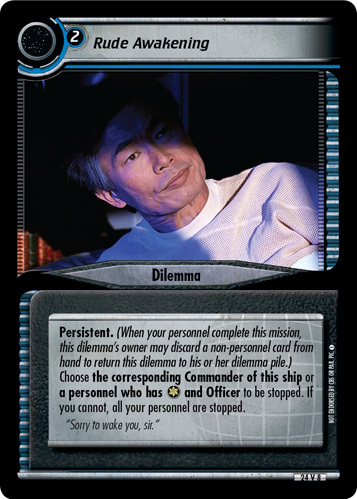 Choose a personnel to be stopped. 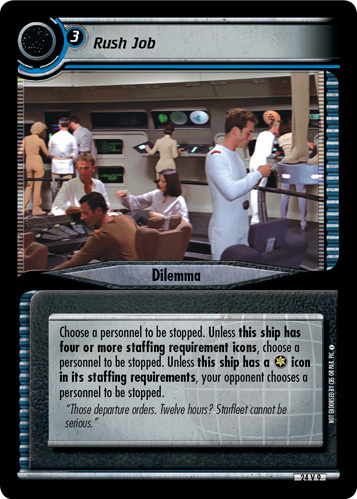 Unless this ship has four or more staffing requirement icons, choose a personnel to be stopped. 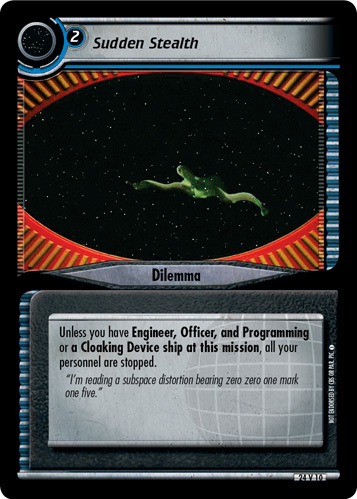 Unless this ship has a icon in its staffing requirements, your opponent chooses a personnel to be stopped. "Those departure orders. Twelve hours? Starfleet cannot be serious."